In this post I'd like to present to you another skincare brand that I've been loving and using religiously in my beauty routine! I'm talking about 100% certified natural cosmetics- free from synthetic fragrances, dyes and preservatives, made in Germany, Dr. Hauschka. 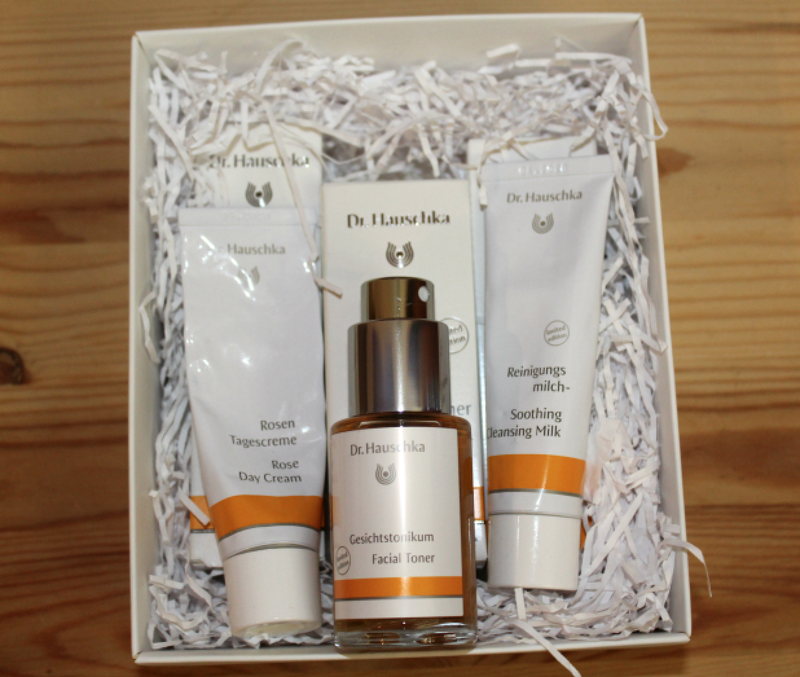 I discovered Dr. Hauschka many years ago, whilst I was still living in Croatia. At the time I only used a few products from them (such as lip balms, I always loved them because they were very nourishing). 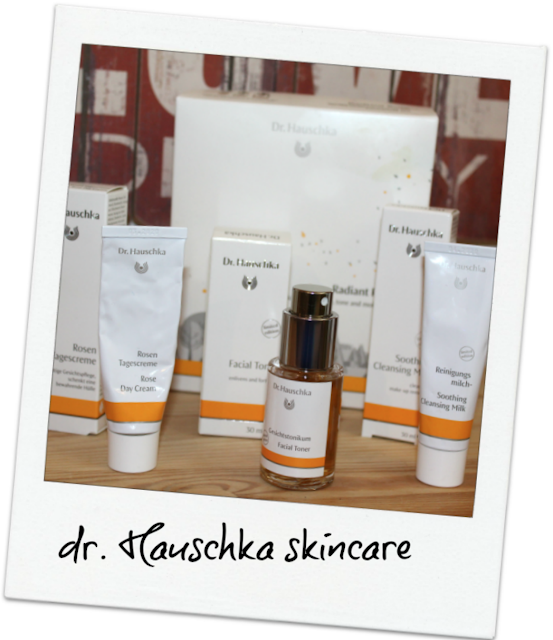 Over the past few years I tried quite a few products from Dr. Hauschka and I was always very pleased with how gentle, carring and effective they were on my skin. 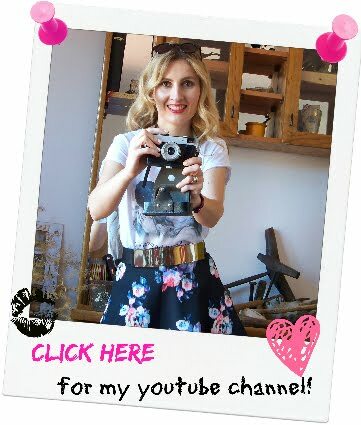 Now that my skin is dry, I find that their cult product Dr. Hauschka Rose Day Cream, really saved my life! It makes my skin look younger and plumper and I just adore this product. For people with more oily/ combination skin, I recommend the same cream in the "light" version. 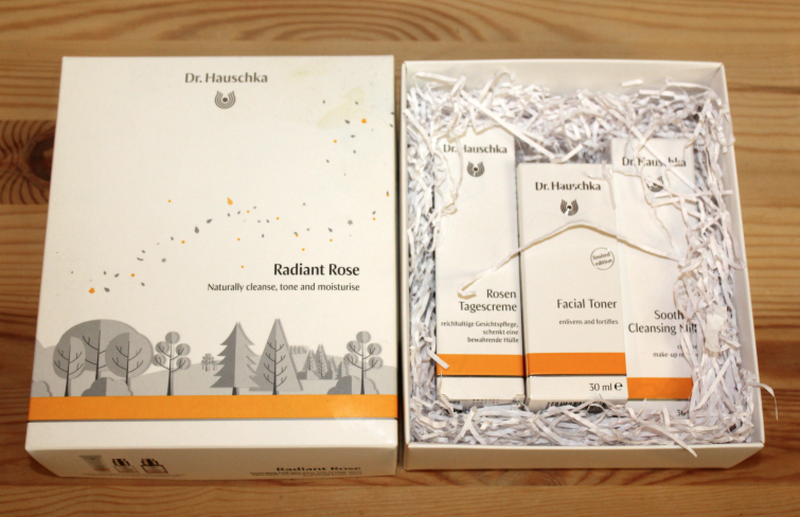 At FeelUnique.com I ordered this Dr. Hauschka Radiant Rose Beauty Kit. - nurtures, protects and soothes. Ideal for dry, sensitive and irritated skin. Rose wax, shea butter, rose petals and rose hips hydrate, protect and support skin renewal. I use this cream at morning, before foundation or bb cream, but also at night as it feels extra nourishing! 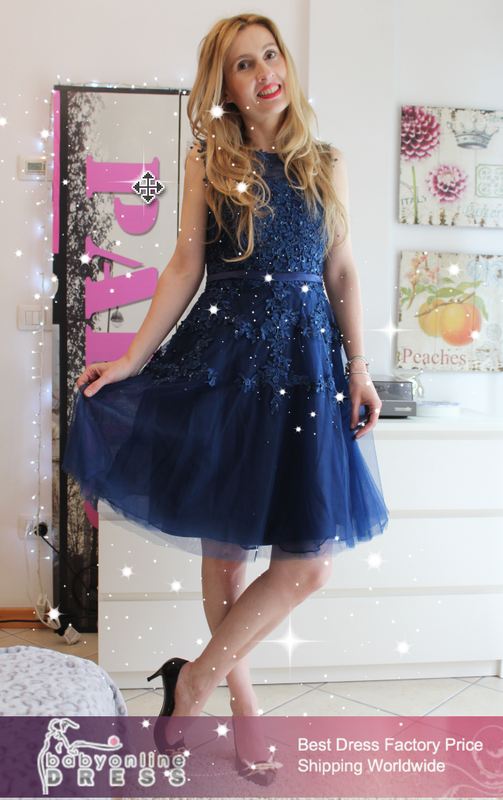 It's created for normal, dry and sensitive skin. Anthyllis and witch hazel extracts visibly refine pores and support skin's natural firmness and elasticity. I usually love using Rose Water as a toner, but in this Dr. Hauschka kit, I discovered this facial toner that is also really pleasant on my skin and I can recommend it to anyone whose skin needs extra pampering! It contains Anthyllis, jojoba and almond oil, which effectively cleanse skin and calm sensitive skin, with cooling and soothing effect. Products come in 30 ml containers each and the price of the kit is around € 36 (now is on promotion for € 25, so I have to order it again, as I'm already running low on rose day cream - my skin seems to "drink" that stuff!). 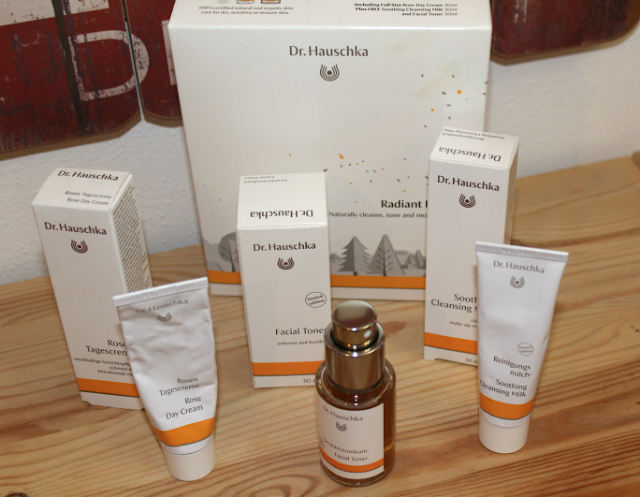 Over the last couple of years, I'm really trying to use more natural skincare and body care brands in my beauty routine, and Dr. Hauschka is one of my long time favorites! Let me know your recommendations! 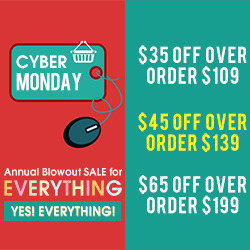 That toner sounds so so wonderful! These products definitely seem like they would be good additions to any skin care routine. Thanks for sharing this!